After making a Bluetooth speaker for my oldest daughter, my middle daughter let it be known that she wanted one too. I purchased 3 way auto speakers on amazon and used the same BT amp board as before. Mahogany sides, BB ply back, ABS veneered plywood face plate. Miter cut corners with the grain wrapped. Finished with 3 coats of padded shellac and 3 coats of rattle can lacquer. OBTW this speaker sounds very good. Much better than the first one. The bass it puts out is pretty darn amazing. Shop time, tunes and Maker’s. Right up my alley with this project Matt. Nice work! Youve got me thinkin shop speakers. Another great speaker Matt! If you used the same amp (2×25W or 2×50W? ), what would you attribute the better sound to? Larger box volume or different speakers? I’m getting ready to pull the trigger on making on and I’m not sure if I want the 25W or the 50W amp and I’m also debating 5 1/4” or 6 1/2” speakers. Strong work on the speaker, Matt! You did a really good job on this speaker. Great job on the grain wrapping, Matt! Very nice job and great grain matching. 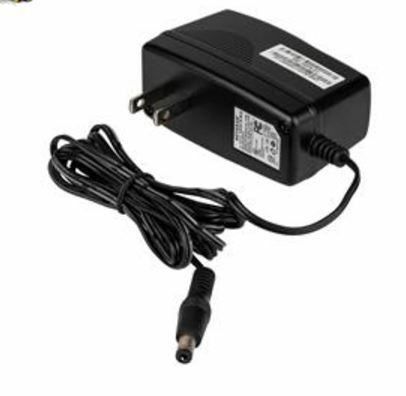 What did you use for a power supply?